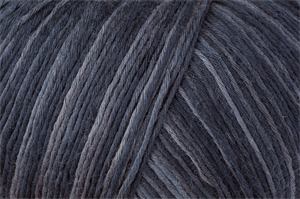 Vibrant colours and smooth colour transitions characterise this delicate, light, summer yarn. The 1% polyester content gives the yarn a slight stretch, and the pastel ombré shades are ideal for delicate, airy summer designs. Machine wash on cold permanent press cycle. Recommended needle size: 2 - 3mm.